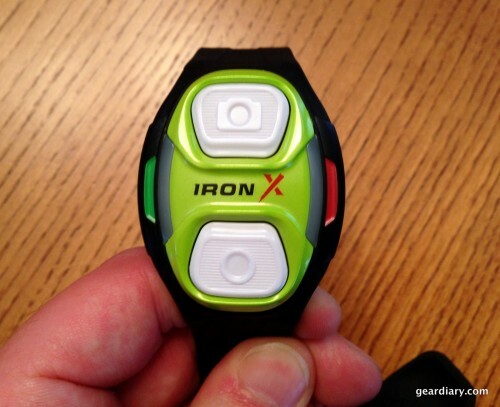 The Iron X Action Cam (A.K.A. 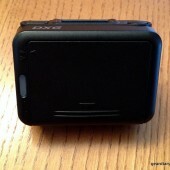 DXG 5G9V) is a small, lightweight action camera that’s got a lot going for it. It records video in 1080p at 30 fps and takes 5 megapixel photos. It also has an OLED screen on top and comes with a remote control wrist strap and waterproof case. The Iron X retails for $249.99. Everything that comes in the retail box. The Iron X Action Cam comes with the camera itself, the remote control wrist strap, a waterproof case, a microUSB-to-USB charging cable, HDMI cable, lens cap, wrist strap, and a variety of mounting accessories. I was also given a suction-cup mount and chest harness during my testing, which both worked as expected. The Iron X Camera records video in 1080p at 30 frames per second or in 720p at 60 frames per second. The camera takes digital photos with its 5-megapixel sensor. 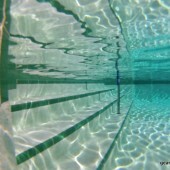 The camera lens is a 170-degree wide-angle lens. On the front of the camera is the camera lens, red light that indicates recording, and microphone holes. The top of the camera houses the beautiful OLED screen, green indicator light, menu button, and shutter button. The back of the camera has another indicator light, and battery compartment that houses a replaceable 1130mAh Li-ion battery. 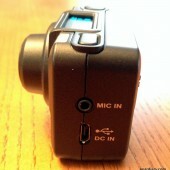 The left side of the camera has an external microphone jack and microUSB jack for charging and connecting to a PC. 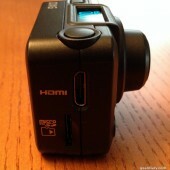 The right side of the camera has an HDMI-out jack and the slot for the microSD card. 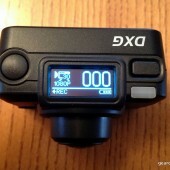 The Iron X Action Cam also has WiFi connectivity so that you can connect directly to your iOS or Android device using a free iOS or Android companion app. The 2.4G RF remote control wrist strap has a very simple design with only two buttons and an indicator light on each side. 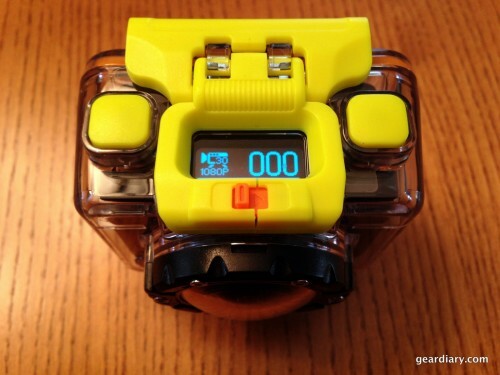 The wrist strap looks and adjusts like a watch, so it will fit almost any wrist. It’s also very simple to use, hitting the camera button takes a photo and hitting the circle button starts recording a video and hitting it again stops the video. If the camera is mounted on your kayak, or elsewhere out of your reach, you can easily take a photo or video without ever touching the camera itself. I’ve got to say that this camera is my favorite action camera that I’ve used so far. A big reason for this is the built-in OLED screen on the top of the camera. 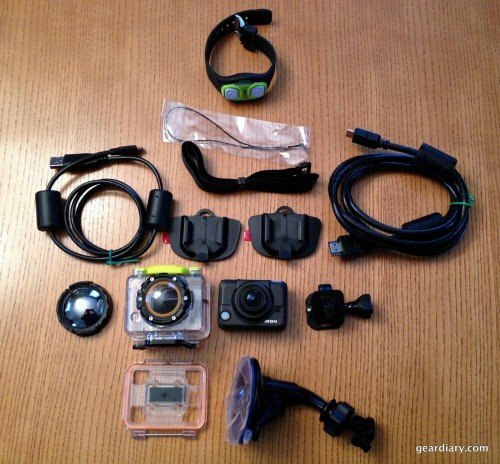 A lot of action cameras are stripped down in order to make the camera smaller and lighter. The inclusion of the LCD screen on top of the camera lets you know how many photos you’ve taken, whether you’re in photo or video mode, memory card capacity, battery status, and much more. You can also easily switch between functions like photos, videos, WiFi on/off, photo burst, time lapse photography, timed photography, and setup menus. 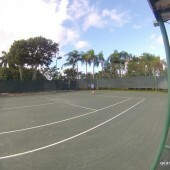 As you’ll see in the photo and video samples below that the quality of the images that the Iron X Action cam takes is really top notch, especially considering the size of the camera. I’m always dubious of the image quality of these action cameras, but I was pleasantly surprised by the quality of these photos. The photos are clear and bright, which is a nice change from a lot of action cameras on the market. 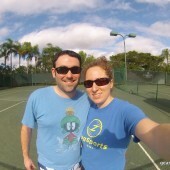 The only downside to the 170-degree wide-angle field of view is the “fisheye” look that it gives to the photos. 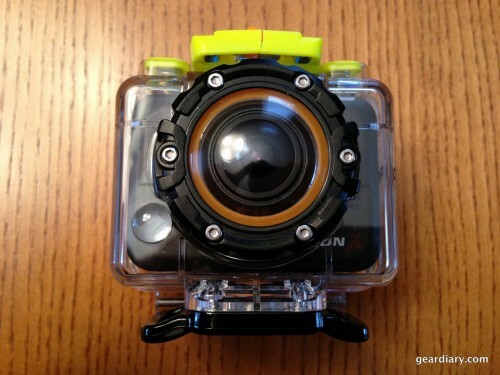 You’ll also notice in the sample video that the microphone works very well even while inside the waterproof case. Speaking of the waterproof case, it was very easy to insert and remove the camera from the waterproof case and I felt very secure that the camera was safe inside the case. My only complaint is that the plastic pieces on the exterior of the case feel a little cheap. My waterproof case actually came with a small crack in the lever that holds the waterproof case closed, but it did not affect the performance. The functionality of the remote control wrist strap is an incredible addition to an already fantastic action camera. As I mentioned earlier, if the camera is mounted out of reach, you can start and stop video recording or take photos without having to touch the camera itself. It’s also much easier to use if you’re wearing gloves if you’re skiing or snowboarding. There is a green light on the left side of the wrist strap that confirms that the camera has taken the photo and a red light on the right side of the wrist strap that will blink to alert you that it’s not connected to the camera or out of range. 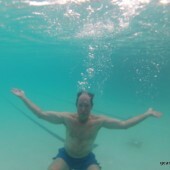 Check out this gallery of sample photos that I took with the Iron X Action Camera while on vacation in Florida. 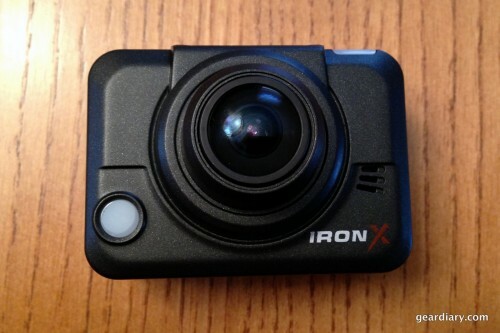 Check out the sample videos I took with the Iron X Action Camera, below. Overall, I was very impressed by the Iron X Action Camera both in functionality, appearance, and photo and video quality. If you’re looking for a more competitively priced action camera, you owe it to yourself to check out the Iron X Action camera by DXG. I’m actually planning on giving this camera to a friend of mine who is big into obstacle course runs and kayaking and I’m looking forward to seeing what he can do with it. 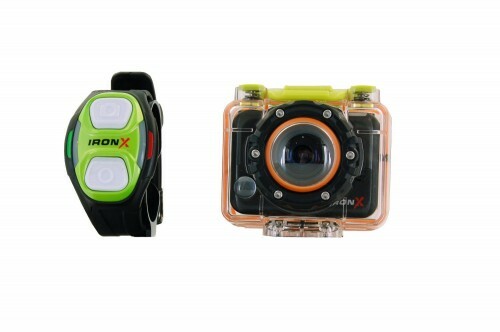 You can purchase the Iron X Action Cam directly from the manufacturer. What I Like: Easy-to-use; LCD Screen; Waterproof case; Remote control wrist strap; Nice-looking photos and video; Chest harness accessory works well; iOS and Android apps. What Needs Improvement: Sensor could be upgraded towards 10MP; More built-in memory; “Fisheye” effect to photos; Build quality of the waterproof case could use improvement.